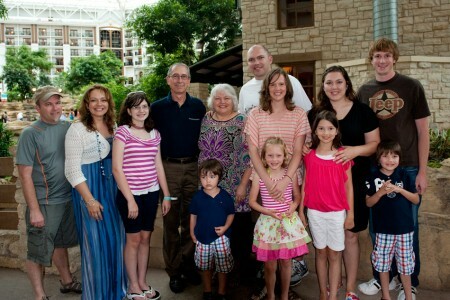 On May 13th, Max and Karen celebrated their 40th wedding anniversary in Dallas, TX at the Gaylord Texan Resort. Their three children and their spouses and all of their grandchildren were able to join them in a relaxing weekend retreat. Congratulations Max and Karen!